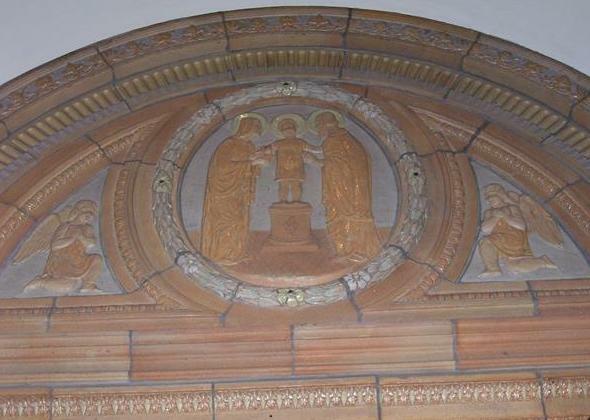 The Presentation, depicted in terra cotta oval relief in the church narthex. Friday, February 2 ~ First Friday ~ Exposition and Adoration of the Blessed Sacrament from 8:00 – 11:00 a.m. It is all about your heart. Everything we have is a gift from God that we are to use to help others. God Bless You on Your Birthday ~ We celebrate monthly birthdays with a special prayer on the last Sunday of the month. On January 28, we will be honoring all those born in January. Monthly Coffee Hour is Sunday, January 28, following Mass. It will be hosted by our bingo volunteers. Please stop by St. Charles Hall for coffee and conversation with your parish family. First Friday is February 2. Please sign up to participate in Adoration during Exposition of the Blessed Sacrament from 8-11am. Mass will follow Benediction at 11am. The sign-up sheets are located at the side doors of church. Blessing of Throats ~ Saturday, February 3, is the Feast of St. Blaise. Blessings of throats will take place at both weekend Masses. The choir welcomes new members on Tuesday, Feb. 6. Keeping Our Faith Fresh ~ Truly marvelous progress has been made toward full, conscious, and active participation of our Roman Catholic assemblies since the Second Vatican Council (1962-1965). Some of us are too young to remember how challenging it was to ask people to open their books to learn a new song before Vatican II. I suspect with Blessed Trinity’s 70+ year choral tradition that was not necessarily the case in our parish over the years. 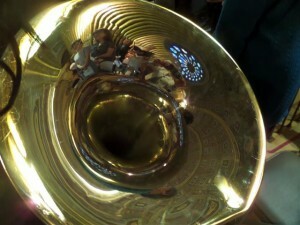 Music selections for January 27/28 all came from contemporary composers after Vatican II. Michael Joncas (1985), Owen Alstott (1977), Marty Haugan (2010), Dan Schutte (2015), Scott Soper (2002) and Tom Kendzia (1998) wrote today’s music and even some of the texts. It’s a beautiful thing to have a musical tradition that goes back for decades yet continues to grow and change. I believe we are getting ever closer to full, conscious and active participation at Mass! Choir practice resumes on February 6, 2018 at 7:00 p.m (in St. Charles Hall). All are welcome! December Giving Tree ~ Thank you to all who donated generously to our Annual Giving Tree, resulting in an abundance of wonderful “fruit.” Forty-six envelopes “blossomed” into $1,266.00! Gerard Place and St. Luke’s Mission of Mercy each received a check for $633.00 to apply to operating costs. Mass of Thanksgiving for the success of the Upon This Rock Campaign with Bishop Richard J. Malone will be at 5:30pm on Tuesday, January 30, at Infant of Prague Parish (921 Cleveland Drive in Cheektowaga). Sign Up for a Prayer Partner ~ Lent is a time when we are called to pray for the needs of others. 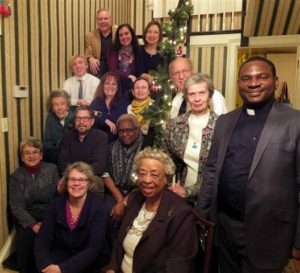 If you would like to participate in the Catholic Churches of Central Buffalo (“CCCB”) Prayer Partner Program, please sign up by the weekend of January 27. Registration sheets will be found on the altar rail. You will then receive the name of a person from another CCCB parish to pray for, and that person will be given your name to pray for throughout the Lenten season. If you have questions or you are a homebound person who wishes participate, please call Pam Zanghi (716-834-9129) or Dan Korchowsky (716-465-4771). You will have the chance to meet your prayer partner at a pot-luck dinner on April 19. Save These Dates ~ Your Parish Council is busy finalizing plans for our 2018 Lenten Program, which will take place on three consecutive Wednesday evenings: February 28, March 7 and March 14. Please plan now to attend, and watch for details in future bulletins and online “This Week” posts at blessedtrinitybuffalo.org. MLK Day of Organizing: Part 2 ~ The conversation about community organizing continues on Wednesday, February 7, from 7:15-8:30pm at Ss. Columba-Brigid Church, 75 Hickory Street. To register, please call their parish office at 716-852-3331. Bible Study ~ Plans for the next series of Bible study meetings are underway. Please continue to watch this space and the bulletin for details of our next meeting and assigned readings. Contact Althea Porter at 716-316-8395 for more information. Catholic Charities’ 2018 Appeal Begins. “I have never been so excited to learn in my life,” said Victoria, a student in Catholic Charities’ Tomorrow’s Youth Today program. Tomorrow’s Youth Today is just one of many services offered through Catholic Charities. In the program, students like Victoria are able to upgrade reading or math skill levels, prepare for the high school equivalency exam, gain job readiness skills and find paid work experiences and other employment preparation. Your donation to the Catholic Charities’ 2018 Appeal helps us to continue to educate, mentor, and set up young people for success. Donate by calling 218-1400 or visit cc.wny.org/donation. 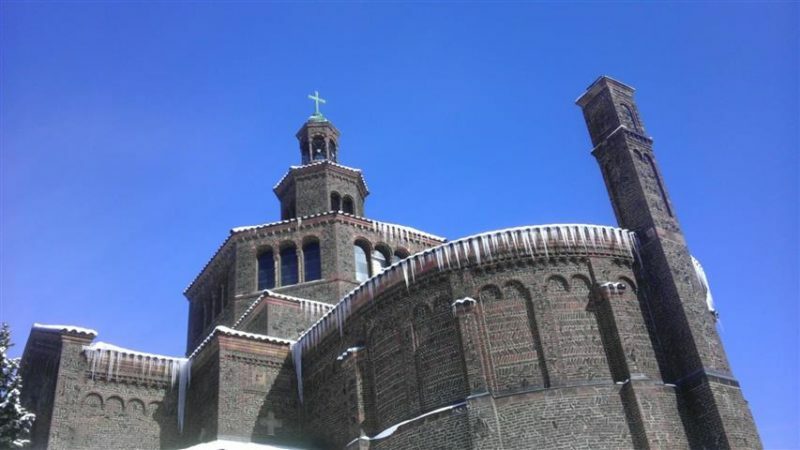 Mass celebrating the First Anniversary of the designation of St. Mary of the Angels (202 South Union St., Olean, NY) as a Minor Basilica by Pope Francis is Sunday, February 11, at 11:30am. Very Rev. Gregory Dobson, Rector of the basilica, will preside. Highlights of the celebration will include the announcement of a proclamation received by Bishop Richard Malone that will affect pilgrims to the basilica and the unveiling of a special insignia that will be displayed in the basilica. The basilica will also host a public tour at 10:15am conducted by the author of the Vatican application for minor basilica status. Complimentary refreshments will be served after Mass in the basilica’s dining hall. All are invited.